When you choose a steel storage container from XCaliber Container you are getting the finest container available, new or used. Our attention to quality, excellent service and very competitive prices, give you an exceptional value! XCaliber Container offers you, our customer, many custom options for your steel storage containers, turning them into anything from a superior storage solution to a hunting cabin or weekend home. Let your imagination go! Renting a storage container from XCaliber Container will save you time and money! No need to pay expensive storage fees when you can have your storage container on location for convenient use at anytime! Steel Storage Containers are responsible for the transportation of over 60% of goods and produce that we consume each day. Steel Storage Containers are large heavy-duty metal shipping boxes. They are constructed to withstand the hardships of overseas travel, heavy loads and years of use and abuse. Steel Storage Containers come in various sizes to accommodate the products being shipped. XCaliber Container offers steel storage containers for Texas, Southern Oklahoma, and Western New Mexico. 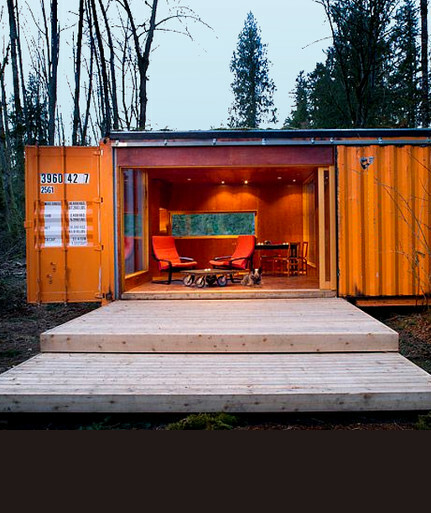 Our steel storage containers can be used for storage, hunting cabins, lake cabins and mobile offices. All of the steel storage containers offered by XCaliber Container are rust resistant, waterproof and rodent proof. We also provide professional delivery and set-up for all steel storage containers. New and used storage containers are available in sizes ranging from 20 to 40 feet in length as well as the supersized 45' and 53' containers. We can customize the storage container offering a variety of options to include interior design, security and exterior customization. We provide what you want and need. We invite you to visit one of our show yards to see how a steel container can work for you. Or, if you would like to view an actual customized container, come directly to our headquarters in Graham, Texas to see how they are built and view what we are currently producing. Need multiple quantities? No problem! Are you ready to order? Contact Us now! Or, give us a call at (940) 549-0699. You will speak with a knowledgeable, courteous representative that will discuss your needs and develop a custom quote for you. It’s that easy. For residential, commercial and business a steel storage container from XCaliber Container is what you need. Cost efficient, high quality and years of service is what our storage containers are designed for. With thousands of storage containers placed and sold, our unparalleled service, competitive prices, and overall value are the reasons why we have loyal repeat customers. XCaliber Container is proud to announce the expansion of our show yard operations into Midland, two locations in Lubbock, Wichita Falls, Abilene, Quanah, Snyder, Bowie, Sunset, Hamilton, Amarillo and Pecos areas for our customers to view XCaliber Container's quality and selection. Of course we continue to meet many of our customers in our Graham headquarters as well and sending high resolution pictures of individual containers to our phone and website customers. Our production facility in Graham, Texas continues to be our custom build headquarters as we grow into 2018 and have staff on this site to design your customized build. So if your looking for a storage container visit any of our sites and if your interests expand to customization then head to our Graham headquarters. XCaliber Container's Facebook page is full of custom designs and unique builds so go and view if you have the opportunity. We look forward to serving your steel storage container and custom container needs. Visit a show yard today, or contact us. Regular containers can be seen at any show yard. For viewing custom units and meeting with a customization specialist will need to take place at the Graham, Texas headquarters. If you call before you come we will be glad to schedule a time for you to meet with our custom specialist. Thank you for contacting Xcaliber Container. We will reply shortly.